It’s never easy to run a business smoothly. It takes much effort, time, and commitment to keep it operating like a well-oiled machine, especially with business models everchanging, increased competition, and the arrival of various technological disruptions. More often than not, as the business grows, it becomes extremely difficult to do it on your own. Hence, leaders should consider hiring a business management consultant at some point. Once clear advantage of having one, aside from the immediate delegation of work, is that they will have the necessary experience and expertise in the field of business management. Your management consultant will know how to address problems and improve already working facets of the business. The idea is to have a person beside you who can provide the best solutions. Secondly, with best solutions in mind come best practices. Your consultant is familiar with trends and any other key developments in technology, operations, and regulations. It’s assumed that the consultant’s experience with past clients that have had the same issues will allow for sound, lesson-based solutions going forward. Of course, it’s important that you gain a more detached, third-party perspective on the business. A management consultant will offer an objective take on issues that may prove hard for you to focus on as you tend to the bigger aspects of running the business, from day-to-day operational processes to workforce relations and politics. In the end, hiring a management consultant will ensure that you’d come up with unbiased, and best-informed decisions on all business matters. Haris Ahmed is the top management consultant and CEO of Pragmatium Consulting Group Inc. In an environment where approximately 50 percent of businesses fold in the first three years, he emphasizes the importance of sustainability during his advisory business practices. Subscribe to this Twitter page for related posts. With innovations in technology often come QoL or quality of life changes in modern societies. Tech disruptions like, say, the internet, smartphone technology, and mobile data have revolutionized how people communicate and how businesses are run. Indeed, if there’s one clear game-changer in today’s world, it’s technology. It would do businesses well to embrace new technology or get left behind by the competition. Of course, investing in it must be practical, meaning done gradually if immediate adoption means compromising one’s financial security. In other words, businesses should invest based on needs and budget, and do so slowly but surely. It goes without saying that a business must only invest in technology that is needed in the industry to gain a competitive edge, and not just because it is new or still untested. Aside from gaining the upper hand, investing in technology improves productivity and efficiency because it allows for speedier work. Automation, for example, simplifies tasks a hundredfold where it’s needed. It would do businesses well to invest in computer programs and apps that can hasten the finishing of complex tasks like collation and computation. The healthcare industry, for example, is benefiting immensely from the arrival of the Internet of Medical Things and Big Data. With technology investment also come remote access and better customer support. It allows businesses to go mobile, as it were, allowing employees to communicate with the office on the go, as well as access files quickly. Needless to say, this boosts efficiency greatly and improves productivity. Studies have shown that employees allowed to work remotely between 60 to 80 percent actually display the highest work engagement. Moreover, improved interactions with customers are fostered, allowing for real-time transactions and faster feedback via chatbots, social media comments, and private messages. 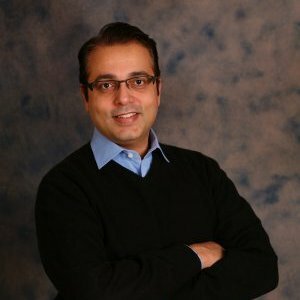 Pragmatium Consulting Group Inc. CEO Haris Ahmed is an experienced facilitator and has led numerous leadership workshops and team-building sessions. He has personally coached over 100 leaders in public and private corporations, not-for-profits, and the federal sector. More on Mr. Ahmed and his work here. Since the dawn of social media, people of influence have shifted their attention from the traditional media to the emerging. Leaders are in for a setback if they don’t have what it takes to champion their teams in this day and age of technology. Too often, with this kind of platform, personal and professional lives are mixed. Individuals have a hard time drawing the line between what should be broadcasted from what should be kept in private. In leadership, there should be a good mix of both on one platform. Having the ability to create compelling content is one of the key skills in leading effectively with the help of social media. A personal touch to a tweet, a post, or a short-video is essential to keeping the audience engaged in a conversation. Finding a voice that people will be quick to associate the company with is another important skill. Should it be funny? Informative? Highly interactive? The target audience would determine how a brand’s voice would be molded. The ability to choose platforms is essential. While keeping up with the many emerging social media platforms seems like a smart move to maintain the audiences, choosing the ones that are actually relevant to the brand and its followership would be the smartest move. Companies that have the courage to own up to their mistakes make it big in the long run. Nobody wants a leader who dodges blame and then throws it to another. The same goes for social media. There will be times when a company goes through a hiccup, and having the guts to admit mistakes on social media platforms is another key skill to effectively lead in this age. Haris Ahmed is the top management consultant and CEO of Pragmatium Consulting Group Inc. He is an experienced facilitator and has led numerous leadership workshops and team-building sessions. For more on Haris, visit this page. There are several ways to make a business sustainable – and none of them are easy. Once business owners come to realize and accept this as fact, it’s easier to cut loose and truly do what they have to do amid the risks. With the constant evolution of man and the ways he does things, one of the most important aspects for almost any business is the use of technology to move forward. Whether it’s for marketing or production or operations, technology has since over the years become more and more indispensable. For marketing, tech has provided an unprecedented number of ways to reach more people and foster effective customer engagement and service. Even businesses that can’t afford to pay for advertising can now go on social media and create pages for maximum exposure. For production, investment in new technology increases the yield. Better machines can create more products in the shorter amount of time, thus making the production process more efficient. Also, in many instances, better and newer machines churn superior products for lower prices that consumers will choose over those of the competition. But it all starts with a business leader’s choice to invest time and money in newer tech. Whether they like it or hate it, technology has always been a huge factor in world business trends. And this is, by all intents and purposes, a significant key to business sustainability. It’s only natural that startup owners would want to save as much as they can during the first few months, or even years of their budding business. However, if there’s one facet of business they should really consider investing in, it’s technology. The type of technology though would depend on the business, but yes, investing in the latest tech can save a startup. Say, for example, the startup is a chicken farm. It would be best to invest in the best chicken coops or the best kind of transportation. If the startup is a produce farm, then it would be wise to invest in an efficient tractor straight away. Startups such as gyms and health centers are easier to figure out. People who go to gyms prefer newer gadgets. The newer the equipment, the more attractive the business will be. For BPO companies such as call centers, huge clients will naturally gravitate to companies with better phone lines and faster internet connections. For these BPO companies, having newer tech generally translates to having fewer tech issues (which can severely affect a business of this nature). Startup owners should really consider technology in the planning process. Technology may mean the difference between a great company, or one that is eaten alive by its competition, especially if the competition has better and newer tech. Haris Ahmed is a top business consultant who emphasizes the importance of sustainability in his advisory business practices. He also has experience in facilitating leadership workshops and team-building sessions for public and private corporations, nonprofits, and federal organizations. Read more about him by clicking this link. One of the most admirable leaders and business owners for Haris Ahmed, Chicago change expert, is Howard Schultz. True, there are many success stories that are worth the read and reference but for Haris, it was Howard Schultz’s story that struck him the most. If you were to ask Haris Ahmed of Chicago to name just one person who epitomizes the true value in, and meaning of, change, it would be Howard Schultz. Howard Schultz grew up in a poor family, in a poor neighborhood in Brooklyn—the “other side of the tracks,” as he’d call it. He saw how his father struggled to provide for the family with his meager income as a truck driver. He also how the lack of medical insurance could easily wipe out one’s finances, as was the case when his father met an accident and didn’t have medical coverage to pay for his bills. To cut a long story short, Haris Ahmed of Chicago shares, Howard Schultz did everything he could to get his family out of poverty. He paid for his college education with student loans and income from part-time jobs. Changing his personal circumstances was just among the many pivotal changes he would do to achieve success. Haris Ahmed of Chicago shares that a series of what would become fortuitous events led Howard Schultz to working for Starbucks Coffee Company. At the time of his entry (he was hired as Director for Retail Operations and Marketing after persuading the owners to hire him), Starbucks was selling coffee beans by the pound for home brewing. On a business trip to Milan, Howard saw the “relationship” Italians had with coffee. There were espresso bars everywhere, and he saw how people not only flocked to these coffee bars for the coffee, but also for the convenience they afford customers—convenience of having a cozy meeting place, and being given a personalized service (the owners practically knew every customer by name). This was the kind of coffee experience he wanted to bring to Starbucks. Unfortunately, Haris Ahmed of Chicago says, the owners of Starbuck weren’t sold out on the idea; and after several more of his attempts were rejected, Howard decided to leave. For him, this was the kind of change that he knew would be embraced by the public. It didn’t matter if Starbucks didn’t see the need to adopt this change; he knew he was onto something great and he was determined to pursue it regardless of the outcome. Howard opened his own coffee shop called Il Giornale where he introduced his own version of the Italian coffee culture he witnessed in Milan. He pitched his idea to 242 investors, and 217 of them rejected his pitch. Heartbroken though he was, he never faltered in his resolve. He was determined to introduce this coffee culture to American soil, and he was going to keep pursuing it no matter what. Il Giornale eventually opened, and his instincts proved right on point; the coffee shop was a success. In fact, says Haris Ahmed of Chicago, it was such a huge success that it would eventually acquire the entire Starbucks Coffee Company. Today, the Starbuck coffee culture as we know it, is all thanks to the vision of this brilliant man. According to Haris Ahmed, Chicago change expert and leadership consultant, one of the issues that always comes up whenever he gets tasked to investigate internal operations by his clients is employee performance. Simply put, the effectiveness and efficiency of internal operations are, for the most part, hampered by how employees do their specific jobs. The hard truth is that not everyone on the team will meet your expectations, and often, this only becomes apparent after considerable time has passed. Most of the time, says Haris Ahmed of Chicago, employees put their best foot forward during their first months with the company. It is when adverse situations arise that you will see everyone’s fight or flight response. What happens when someone you entrusted with a leadership role fails to live up to expectations? This is where CEOs and/or business owners will need to step in. As the top leaders of the organization, they must decide on the best course of action for the entire organization. The decision-making process requires careful thought and analysis because changing organizational leaders will affect not only the department or team directly involved, but overall operations as well. Here Haris Ahmed of Chicago shares the top three critical steps for making a more informed and educated decision, and mitigate risks that could arise from such internal actions. While knowing all the facts before making the decision on whether to change departmental leadership may seem like it should be automatic, you might be surprised at how little thought is given to this crucial step. Sometimes, changing leaders is based solely on others’ opinions or feedback. While Haris Ahmed of Chicago is not saying that opinions and feedback should be completely disregarded, they also shouldn’t be the sole basis for removing someone from his or her leadership position. Do your own investigation and background check; and if possible, observe the leader in question incognito; that is, without blatantly letting on that they are being observed. There is always two sides to a story, says Haris Ahmed of Chicago, and it is your job to hear both sides to be fair. If an employee is underperforming, for instance, there could be another underlying reason and not merely because of a failure in leadership. Get to the bottom of the truth first, and then talk to the leader involved about your own observations and the feedback of his or her subordinates. This third step is one of the hardest to decide on, in the opinion of Haris Ahmed of Chicago. Before you decide to bring someone in—a new player that you’re looking to hire, it’s important to check within your organization first if there are key personnel who can take on the job. For this, you may need to perform a major organizational restructuring. Haris Ahmed of Chicago believes that getting someone from within your organization is a good move because you have already trained these people, and they are already familiar with the company’s mission, vision, and culture. In the end though, your choice should be what you deem is best for the organization. Haris Ahmed | Chicago | Business Owners: Is it Time for a Cool Change? Haris Ahmed, Chicago Change Expert, Asks: Is it Time for a Change? In organizational leadership, one of the most pressing issues that one can ever encounter is change; more specifically, deciding on whether certain changes should be adopted or ignored. For Haris Ahmed, Chicago change expert, adapting to change is needed if you want to stay in the game. Whether in business or your personal life, certain changes need to be made at some point to make progress, or to keep moving forward. And if you fail to adapt to change, you might get stuck in a rut or left by the wayside as the rest of the world moves forward. This isn’t an exaggeration, Haris Ahmed of Chicago says. Your failure to change is a failure for your organization. This is the harsh reality of owning a business, and the sooner you embrace this reality, the sooner you can move your company towards the right direction. For every client that Haris Ahmed of Chicago has worked with in his capacity as a change expert, there are three common challenges that organizational leaders face when it comes to change. They recognize the changes they have to make, they have to develop a strategy for the seamless integration of the changes into their operations, and then they have to encourage the organization to welcome the change. Of these, the most resistant factor is usually the people in the organization itself—the employees. One must understand that regardless of how effective and carefully planned your change strategy is, if your own employees are resisting it, your change strategy will never get the chance to take flight. Remember that your employees are your biggest and greatest assets, says Haris Ahmed of Chicago; and without their cooperation, any change that you introduce into your operations or services may not give you the expected results. Most of the time, it’s not that your employees are resisting the change itself but actually how you communicated this change that had a much bigger impact on how they received it. If you’re encountering resistance, ask yourself how you made your employees feel about the change, advises Haris Ahmed, Chicago change expert. Put yourself in their shoes. If you were them, would you have welcomed this change without a second thought? Don’t just look at it from your business perspective; consider it from their place as an employee and a member of your organization. Did you talk about the change in a way that made them feel devalued? Did you introduce it in such a manner that undermined their importance in the organization? How you say it has an even bigger impact on what you’re saying; most of the time at least, says Haris Ahmed of Chicago. Further, your way of communicating change could make your employees feel a sense of urgency, or it could make them feel that the change is not important at all. One final tip: Haris Ahmed of Chicago says that when your instincts tell you that it’s time for a change, let everyone in your team participate in the decision-making process. By making them a part of the process, they will most likely be more open to the changes you wish to implement. For Haris Ahmed of Chicago-based management consulting firm Pragmatium Consulting, Inc., employees are the heart of every business. Each one plays a crucial role in the organization, and as such, each one deserves equal opportunities and privileges. But despite the company’s best efforts, there will always be employees who are underperforming or not living up to their full potential—for whatever reason (professional or personal). How do you encourage your employees to always give their best to whatever task needs to be done? How do you help them establish strong bonds with one another? In this post, Haris Ahmed, Chicago management consultant and change expert, shares with readers what a job rotation is and the benefits to be derived from it. In simple terms, job rotation is an internal strategy where the organizational structure is reshuffled to encourage employee growth and retention. This strategy is often initiated by the Human Resources department of the organization, discussed with team or department heads, and approved by the CEO and other top executives. Usually, an employee is assigned to another department or given a new position because this is where their talents and skills will truly be of value to the organization, and where they have more opportunities for growth. When an employee has been with the company for years, he or she may have acquired or developed new skills, and assigning them to a new department with new responsibilities is the best way for them to further hone their newly acquired skills. 1. Improve performance and productivity. As mentioned above, when you assign an employee to a new team and give him or her new responsibilities, you allow the employee to grow. New challenges mean new opportunities and with these come a rejuvenated spirit, which could mean improved performance and productivity. This, in effect, targets the employee’s performance and productivity, and the department’s or team’s. 2. Encourage loyalty. When an employee feels that he or she has become ‘stagnant’ or feels more like a wallflower than an active participant within the organization, chances are they will eventually leave and go where they are appreciated—where they would be made to feel that their contributions are valuable to the organization. Job rotation prevents this from happening, for reasons stated above. 3. You create a dynamic organization. When people learn of the organization’s active participation in their employees’ growth and advancement, they will see your company as a potential employer, upping your reputation as a good organization to work with. When you have positions that need to be filled, applicants wouldn’t hesitate to join your organization because they know there is room for growth. In his next post, Haris Ahmed will share his recommendations on how to approach job rotation and make employees understand that this is a step towards their own growth and advancement.